We have decades of professional electrical experience to bring to your project! Our actions as a company will contribute to a better tomorrow, watt by watt, with clean and reliable solar energy. Our electrical and solar contracting businesses are dedicated to conservation, recycling materials and using bio-fuels. We have been recycling for many years, adding up to many tons of copper, steel, lead, aluminum, cardboard and other construction and office materials that have been recycled. 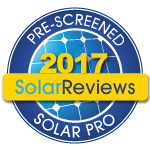 21 years of extensive experience in electrical construction for industrial, infra-structure, high-voltage distribution, commercial development and solar photovoltaic projects help to make Select Solar a top quality solar installer. 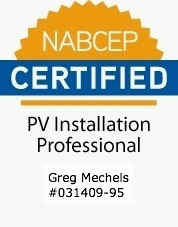 We take pride in providing professionally installed Solar Electric Systems that are optimally designed, provide maximum performance and enhance the aesthetic values of your property. My family is working towards a net-zero energy home with LED lighting, a Solar Electric PV system, Solar Hot water heating and a super efficient Wood Gasification boiler system for radiant heating. The project is coming together this year...exciting! If I am not helping a customer with a project, you will find me enjoying time with my family and friends; soaking up the beauty of New Mexico while out mountain biking, hiking, climbing or exploring the vast history of the wonderful southwest!